Another hillside house with a view to die for. 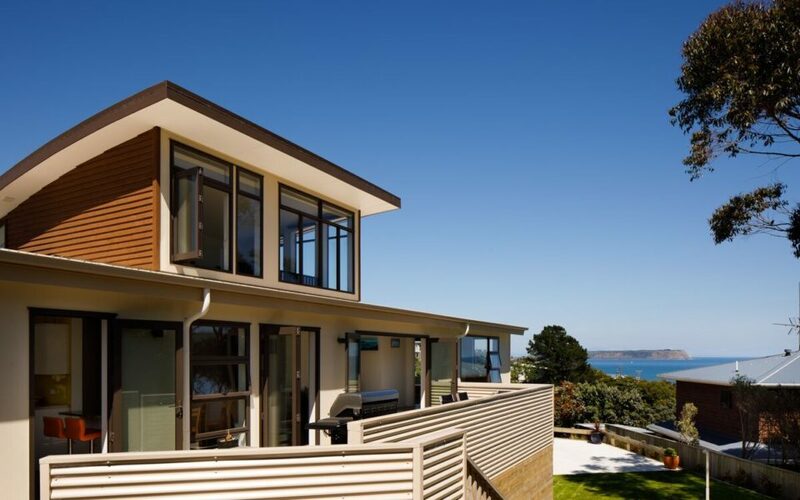 Obliquely angled on site so that the lower roof faces north for solar panels and the axial views within the house focus the eye directly west to Mana Island and the South Island beyond. 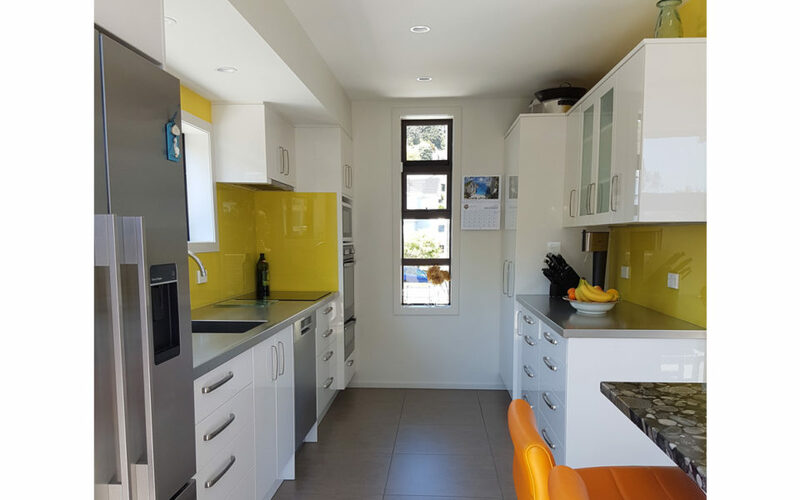 Though the water views are expansive, the hills of Plimmerton and Pukerua Bay are an equal treat. 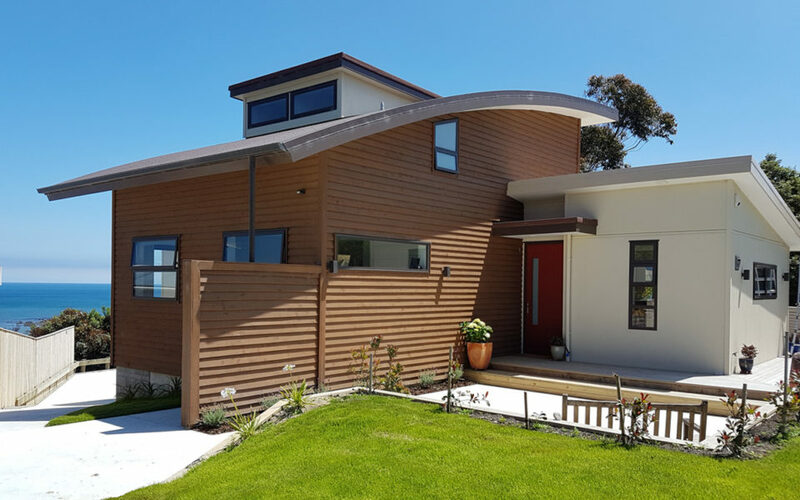 Automatic opening windows – the SoHo Ventpac Vortex system – manage the summer cooling needed with 75% north facing glass which provides the passive solar heating in winter. This house is always comfortable and not a heat pump in sight! 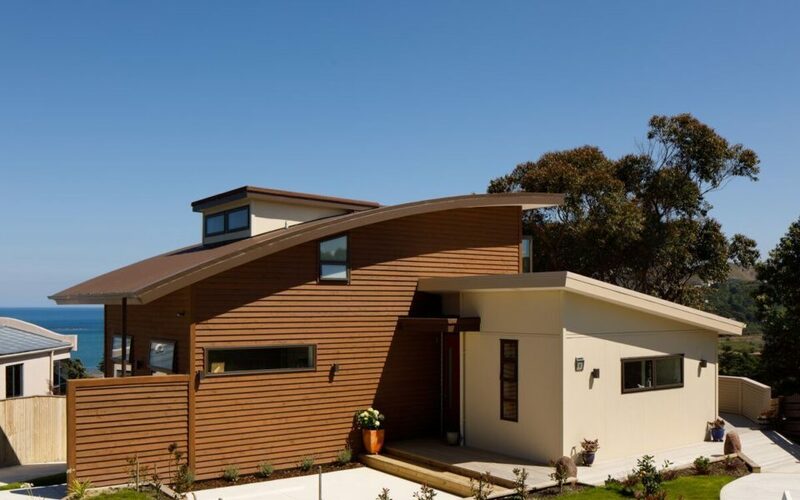 The curved roof was a stealthy aerodynamic design to largely eliminate wind noise as well as being a popular move to help preserve the fantastic panorama for neighbours. 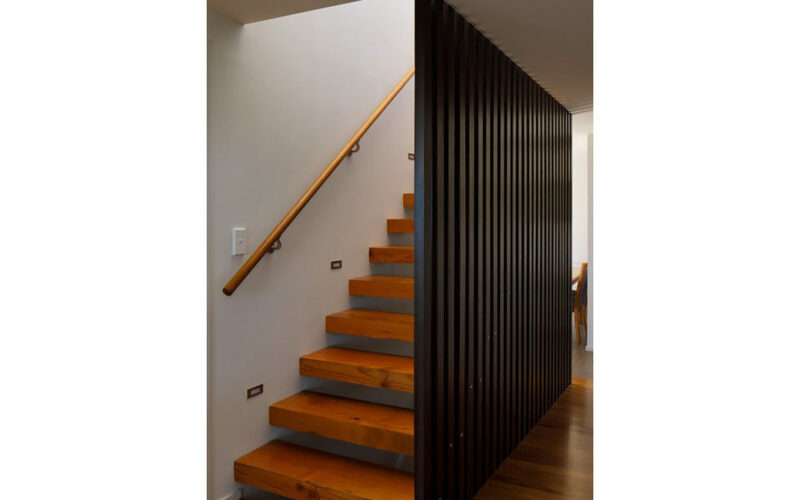 The floating stair treads are recycled from Oregon beams rescued from a Whanganui warehouse by Aonui Architecture. Their open risers spaces allow views of the water and island from the breakfast bar – one of many tasty little vistas offered by an open axis East-West plan. By contrast the top floor master bedroom suite commands all the views and sun. 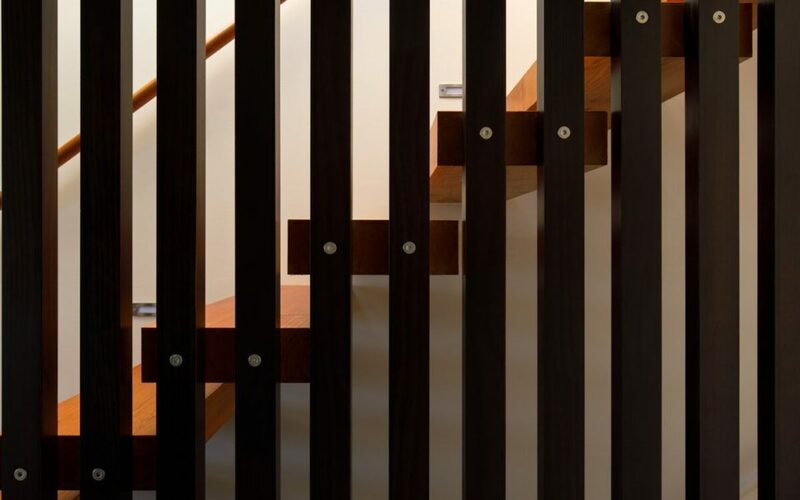 Access has been considered carefully: future proofing this house is a lift shaft serving the two upper levels – currently used as storage cupboards.